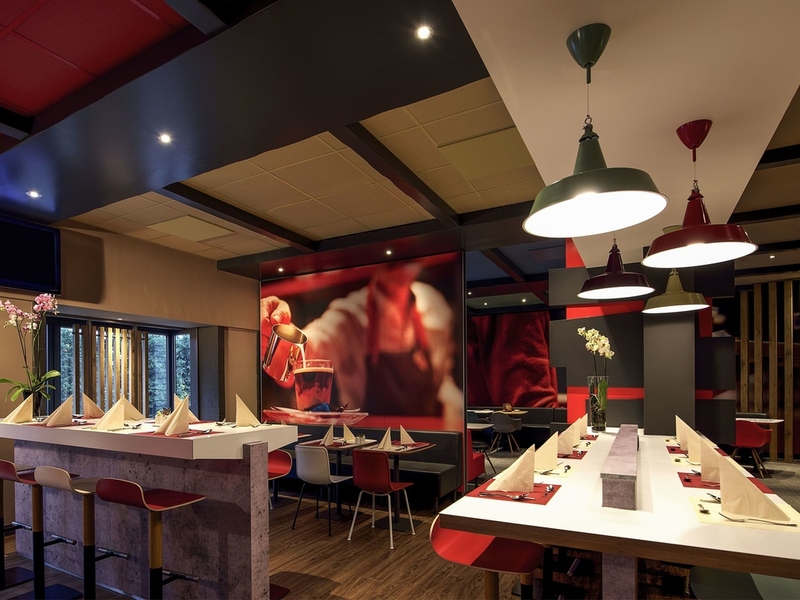 Hotel ibis Bremen City. Book your hotel in Bremen now! When and how can I use my 667 bonus points, no later than 21 / 3-23 / 3 when I stayed at the Ibis Bremen city I did not have to deduct my points that apply only to the 11/4. Your bonus system seems complicated. Well, all was completely satisfactory. I really can't say anything negative at all. Overall we are happy with the stay. In the room (242), there was too much light for our taste: Some from the clock on the TV, which we managed to cover, and some from the streetlight outside, which got through underneath the curtains. The breakfast was nice. The staff were nice too. We would come again. Location is good and parking facilities are an extra value. Clean room, great breakfast, friendly staff, but was cold in the room. Stayed there for three nights; had dinner there once which was excellent and not overpriced as usual in hotels. Shower water pressure was a bit weak but that's a minor issue. I found the overall standard of helpfulness, cleanliness and comfort to be on a par with my previous stays at Ibis hotels in France and England as well as here in Germany. I would recommend this value for money experience to anyone. Great teamwork by all employees there. Facility is fine, location excellent, reception staff need training. You (Ibis) made an offer that if we chose not to have our room we would get a free drink coupon every day. However, your staff failed to honor this offer. On the second day of our four-night stay, in the afternoon, we asked about these drink coupons. We were told - and not very politely - that the coupons will arrive after the cleaning staff were finished (so why didn't we get one for the first day?). So we went into the city. Upon our return, we were surprised to see we still didn't receive these coupons. When we asked at the reception, we were told rather rudely that just we just had to wait. So much for you 15-minute service promise ... We eventually did get the coupons, but it made us feel awkward. So, the pleasure of getting them was eliminated. Don't make offers you don't intend to honor. Ibis hotels are pretty much the same all over Europe, so it's hard to make a difference. But Ibis Bremen does succeed through its very friendly and competent staff, at check in/out, breakfast and the bar. The rooms are okay and could be a bit cleaner, breakfast is good, a good night's sleep guaranteed because of the quiet situation of the hotel. But the staff make the place stand out. My cardkey to my room didn´t work. And it took the starff from one day to the other to call the locksmith. It was a good service.